A translation of the essay ‘On Promethean Shame’ by Günther Anders with a comprehensive introduction and analysis of his work. "Günther Anders's prolific philosophy of technology is undergoing a major revival but has never been translated into English. Prometheanism mobilises Anders's pragmatic thought and current trends in critical theory to rethink the constellations of power that are configuring themselves around our increasingly "smart" machines. The book offers a comprehensive introduction to Anders's philosophy of technology with an annotated translation of his visionary essay 'On Promethean Shame', part of The Obsolescence of Human Beings 1 published in 1956.The essay analyses feelings of curtailment, obsolescence and solitude that become manifest whilst we interact with machines. When technological solutions begin to make humans look embarrassingly limited and flawed, new emotional vulnerabilities are exposed. These need to be thought, because our wavering confidence leaves us unprotected in an ever more (un)transparent, connected yet fractured world." Konrad Paul Liessmann: "Christopher John Müller's comprehensive and sophisticated presentation and his nuanced translation of Anders' crucial writing “On Promethean Shame” ... demonstrates vividly the significance of Anders as a shrewd and original thinker who was able to anticipate a number of recent societal and technological developments." July 24, 2015: Jordan Levinson has translated Wir Eichmannsöhne into English: "We, Sons of Eichmann: An Open Letter to Klaus Eichmann" (1964). The translation is from the Spanish (not the German original), so some concepts are not as close to the original as they might be. Still, this is a serviceable English version. Profeta di sventura dell’età atomica e della nostra era dominata dalla tecnica moderna, Anders ha strenuamente messo in guardia i suoi contemporanei dalle catastrofi che da lì a poco sarebbero puntualmente accadute: l’avvento al potere di Hitler, la seconda guerra mondiale, Auschwitz, Hiroshima, Chernobyl. Ogni volta la sua voce è rimasta inascoltata, come quella di una novella Cassandra, perché i suoi moniti sono stati ritenuti inverosimili se non addirittura paranoici. Anders sostiene che ormai, di fronte alla tecnica ed al nostro mondo da essa dominato, noi uomini tutti siamo antiquati, perché antiquate sono le nostre dotazioni psichiche e le nostre categorie filosofiche ed etiche non più al passo coi tempi e totalmente inadatte a comprendere, immaginare ed assumersi la responsabilità di fronte agli effetti smisurati che le nostre azioni, individuali e collettive, oggi hanno grazie ai nostri prodotti ed alle nostre macchine. Come ha scritto giustamente Costanzo Preve: «Ci sono i filosofi tranquillizzanti e i filosofi inquietanti. Solo i filosofi inquietanti servono a qualcosa, e Anders è appunto uno di loro». Affinché allora non si avveri mai anche la sua più terribile profezia, ossia l’estinzione della vita sulla terra e la fine dei tempi, sarebbe bene almeno questa volta prestare ascolto alle sue parole. Jan. 5, 2015: The Austrian National Library's page for Anders' papers has a new link; I presume the cataloging is complete, since the funding for it ended on Jan. 1, 2015. "After Hiroshima: Günther Anders and the History of Anti-Nuclear Critique," in: Benjamin Ziemann and Matthew Grant (eds. ), Unthinking the Imaginary War: Intellectual Reflections on the Nuclear Age, 1945-1990 (Stanford: Stanford University Press, forthcoming). Günter Bischof, Jason Dawsey, and Bernhard Fetz (eds. 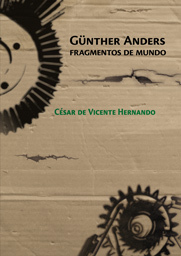 ), The Life and Work of Günther Anders: Émigré, Iconoclast, Philosopher, Man of Letters (Transatlantica Series, Volume 8). Edited by (Innsbruck: Studien Verlag, forthcoming in 2014). "Where Hitler's Name is Never Spoken: Günther Anders in 1950s Vienna," in: Contemporary Austrian Studies, Vol. 21: Austrian Lives. Edited by Günter Bischof, Fritz Plasser, and Eva Maltschnig (New Orleans: University of New Orleans Press, 2012). Sept. 10, 2014: Now available: a complete English translation of Part II of vol. I of Die Antiquiertheit, namely "The world as phantom and as matrix: Philosophical considerations on radio and television" (the link is https://libcom.org/book/export/html/51647). Translation from the 2011 Spanish edition by Josep Monter Pérez. This prints on over 70 pages as straight text with normal margins. Link courtesy of Anders' nephew David Michalis. Does anyone want to compare these two versions and send me a summary explaining which passages and how the translations compare? Apr. 30, 2014: The Internation Guenther Anders Society's website has been launched. For now only in German, but we hope to see an English version soon. Apr. 18, 2014: Now updated: Heinz Scheffelweiser's Anders bibliography now includes about 300 new entries, plus an appendix of Italian publications. Babette Babich Angels, "The Space of Time, and Apocalyptic Blindness: On Günther Anders' Endzeit - Endtime"
"Christian Dries, "Technischer Totalitarismus: Macht, Herrschaft und Gewalt bei Günther Anders"
Ubaldo Fadini, "Anders e l'incompleto"
Edouard Jolly, "Entre légitime défense et état d'urgence. La pensée andersienne de l'agir politique contre la puissance nucléaire"
Micaela Latini, "La distruzione dell'amore. Esilio e letteratura"
Francesco Miano, "Günther Anders e la vergogna prometeica"
Vallori Rasini, "Il potere della violenza. Su alcune riflessioni di Günther Anders"
Nicola Russo, "Sopravvivenza e libertà: il dilemma impossibile"
Nov. 2, 2013: Günther Anders ON VIDEO! This 33 minute clip on Vimeo has 3 mins. of Anders introducing his 1987 reading of his story "Die Beweinte Zukunft" ('the Cried-For Future'). It is amazing to see and hear him 20 years after his death (he was 85 at the time of the reading). Many thanks to Stefan Riese for the tip and his kind words about this page. added 9/2014: Valentic also did a video broadcast, "Zur Anthropologie von Günther Anders - Im Dialog mit Christian Dries / Was macht uns anders?" (length here). July 25, 2013: I've edited the text of my Personal Note, below, and am adding a 36-page pdf of letters that my grandfather, Herbert Marcuse, wrote to Anders over the years 1947-1978. Also uploaded: 88 page pdf of entire book Burning Conscience: The Case of the Hiroshima Pilot Claude Eatherly, told in his Letters to Günther Anders (New York/London: Weidenfeld and Nicolson, 1961), 135 pages. May 2013: A graduate student in philosophy at the University of Freiburg in Germany is broadcasting a radio series on Radio Dreyeckland, talking about philosophers for a broad audience. Dec. 29, 2012: I've scanned to pdf most of Anders' 1968 book Visit Beautiful Vietnam ABC der Aggressionen heute (Cologne: Pahl Rügenstein, 1968): pdf pp. 1-151, 200-209. Feb. 17, 2012: A 2011 French film based on Anders' long-unpublished 1931 novel The Molussian Catacomb was just screened at the Berlin film festival. Titled "anders, Molussien" in German, French and English (thus: "differently, Molussia"), the 81 min. film by young director Nicolas Rey (no relation to other famous Rey filmmakers) is comprised of 9 reels, which are shown in varying order depending on the choice of the projectionist. Berliniale page with director's statement . 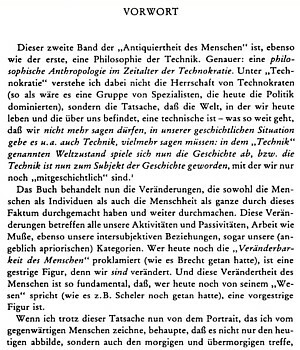 Oct. 21, 2010: After receiving an inquiry about a quotation from Anders' main work, I found a pdf of Die Antiquiertheit des Menschen: Über die Seele im Zeitalter der zweiten industriellen Revolution (vol. 1, 1956; 1961 edition), and re-uploaded it here to make it more easily accessible [removed Apr. 2016 at the request of Beck publishers]. It can also be searched on google books. "...the fact, that the world, in which we live and which determines us, is a technological one - which extends so far, that we are not allowed to say, that in our historical situation there is among other things technology, rather do we have to say: within the world's status called "technology" history happens, in other words technology has become the subject of history, in which we are only "co-historical." is from the Vorwort (preface) of vol. 2, p. 9 (see pdf screenshot). Oct. 6, 2010: New anecdote about a visit in Anders' Vienna apartment in 1986 added. It was recorded by German literary critic Fritz Raddatz in his diaries, which were just published. Sept. 17, 2010: Since this past July (2010) there has been a GuentherAndersInternational email list (a yahoo group). There are currently 13 members, including Raimund Bahr, Gerhard Oberschlick, and myself. Jan. 10, 2010 (updated 1/16/2011) : The Günther Ander Forum website, maintained by Raimund Bahr, is moving from http://www.guentheranders.at to the blog at http://www.guentheranders.com. You can subscribe to the Society's newletter there. 1/16/2011: both sites appear to have disappeared from the web. Bahr's twitter page doesn't seem to have much to do with Anders. 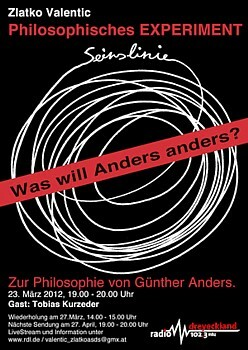 Also, on May 14-15 the an Anders symposium will be held in Marburg. Plafi, der plastische Film. Nr. 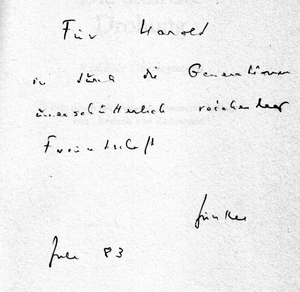 221 vom 13.5.1932, S. 5-6. [Günther Anders]. Der Star der Polizei. Nr. 233 vom 21.5.1932, 6-7. [Günther Anders]. The 1935 Amsterdam story "Der Hungermarsch" was published under "Anders," but his reviews for the Zeitschrift für Sozialforschung from 1937 to 1939 were published under "Stern." April 16, 2006: Anders' papers, previously adminstered by Gerhard Oberschlick, were given in 2004 to the Austrian National Library in Vienna, where they are administered by Bernhard Fetz: Bernhard.Fetz@onb.ac.at. August 1, 2005: link to detailed French Wikipedia article by Thierry Simonelli added to links page. Also created web-formatted archive copy of Heinz Scheffelmeier's 1995 bibliography. 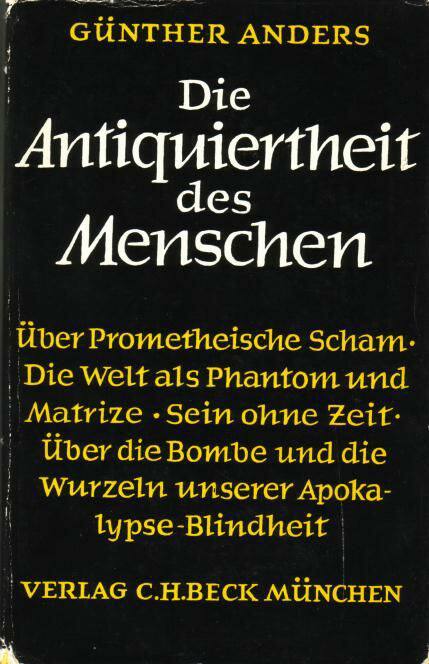 July 20, 2005: Another book added to the Books and Articles section: Berthold Wiesenberger, Enzyklopädie der apokalyptischen Welt: Kulturphilosophie, Gesellschaftstheorie und Zeitdiagnose bei Günther Anders und Theodor W. Adorno (Munich: Herbert Utz, 2003). May 2005: Site redesigned and reorganized, links updated, vanished pages archived from webarchive.org. New publication added to Books and Articles section: Thierry Simonelli, Günther Anders: De la désuétude de l'homme (Paris: Éditions du Jasmin, 2004), 96pp. September 2004: University of Chicago dissertation prospectus by Jason Dawsey: "History after Hiroshima: Gï¿½nther Anders and the Twentieth Century". This 30-page document outlines Anders' life, with emphasis on his publications and their influence. It is the best English-language biography I have seen. My grandfather Herbert Marcuse (my website about Herbert) and Anders both studied with Martin Heidegger in Freiburg in the late 1920s. 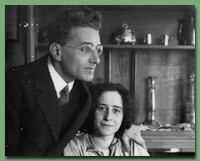 As Jews, both fled from Germany to the US in the 1930s. Anders lived in my grandparents' home in the US for a time in the early 1940s. While doing research on the immediate post-1945 period I came across Anders' published diaries during those years (Die Schrift an der Wand, published 1966), which I found fascinating. After learning about Anders' connection with my family I corresponded with him in the early 1980s, while I was living in Germany. Since I had been too young to have had much of a political relationship with my grandfather, Anders at one point jokingly said that he was in a way my Ersatz-Grossvater (surrogate grandfather). (See this July 27, 1988 letter from Anders responding to the birth announcement of my son in 1988.) 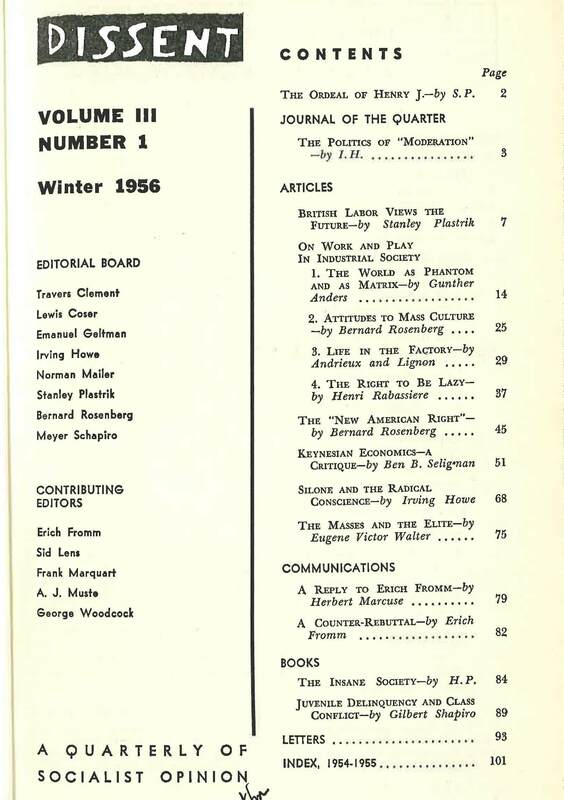 I have heard that Anders may have been somewhat envious of the fame my grandfather's One-Dimensional Man (1964) had brought Herbert Marcuse during the heady days of the student movement. Anders told me that much of what Herbert wrote was contained in his own Antiquiertheit (1956)[Christian Fuchs' essay compares their work], but Anders was barely known by the broader public until the 1980s. In any case, when I went to Vienna in April 1983, I visited Anders at his flat in the Lackierergasse. He was very cordial, and may have "buried the hatchet" (real or imagined) with my then deceased grandfather by that time. (Compare Nathan Stolzfus' description of his visit with Anders in 1986.) In April 1982 Anders inscribed volume I of his Ketzereien for my parents with the words "für meine drei beinahe-Kinder" ('for my three nearly-children'--I have no idea why three); in July 1983 he wrote into my copy of Die atomare Drohung "in durch die Generationen unerschütterlich reichender Freundschaft." ('in unshakeable friendship that reaches across generations')[click on thumbnail at right to see a scan of the dedication]. In the 1980s I was a U.S. student working towards an M.A. in History of Art in Germany. In 1992, after finishing my dissertation about the post-1945 history of Dachau, I became a professor of German history at UC Santa Barbara. In the late 1990s Routledge was looking for someone to write an article about Anders for its Encyclopedia of Contemporary German Culture (1999, amazon.com page), and I volunteered. My unedited draft of encyclopedia entry (which had to be shortened for publication) forms the core of the biographical text below. In those early days of the web there was almost nothing about Anders available on the internet, so I created this page, and have been updating it at irregular intervals since. In the United States Anders worked at menial jobs, but also wrote for the German-language newspaper Der Aufbau, and later lectured at the New School for Social Research in New York City. His first book of philosophical reflexions, Die Schrift an der Wand: Tagebücher 1941-1966 (The Writing on the Wall: Diaries 1941-1966) (1967), begins with his musings as a laborer in a Hollywood warehouse of historical costumes. Auschwitz and Hiroshima mark turning points in his consciousness. He returned to Europe in 1950 and began work on Die Antiquiertheit des Menschen (The Outdatedness of Human Beings, 1956). In addition to analyzing human feelings of inadequacy in comparison with machines, and to settling scores philosophically with Heidegger, Anders lays out the principles of 'blindness to the apocalypse,' the focus of his later work. Pressured to categorize his ideas, he later coined the term Diskrepanzphilosophie (philosophy of discrepancy) to describe his focus on the increasing divergence between what has become technically feasible (e.g. the nuclear holocaust of the entire globe), and what a human mind is capable of imagining. With Robert Jungk, Anders co-founded the anti-nuclear movement in 1954. He published his philosophical diary of an international conference in Hiroshima (Der Mann auf der Brücke, The Mann on the Bridge, 1959) and his correspondence with a pilot in the Hiroshima squadron (Burning Conscience, 1962). His politically acerbic books from the 1960s include an open letter to the son of Adolf Eichmann, a speech about the victims of the three world wars, and a primer of American warspeak in Vietnam. In 1967 he served as a juror on the Russell tribunal publicizing atrocities in Vietnam. Anders' oeuvre encompasses numerous literary and philosophical works, including books on Kafka (1951, English 1960) and Brecht (1962), essays on the atomic age (Endzeit und Zeitenende, Die atomare Drohung, 1972, 1981), reflections from his diaries (among others Ketzereien, Heresies, 1982), and a second volume of Die Antiquiertheit des Menschen (1980). Anders won numerous awards and honors for his work from 1936 (Novella Prize of the Emigration, for "The Hunger March") to 1978 (Literature Prize of the Bavarian Academy of Fine Arts), to 1979 (Austrian State Prize for Cultural Writing) to 1983 (Adorno Prize of the City of Frankfurt) to 1992 (Sigmund-Freud-Prize); others he rejected for political reasons. His unsparingly critical pessimism may explain why his pathbreaking works have seldom sparked sustained public discussion, with the major exception of his Theses on Violence (scans on this site) during the peace movement of the 1980s. The renaissance of interest in his works in the 1990s indicates that his uncompromising moralism may have been ahead of its time. 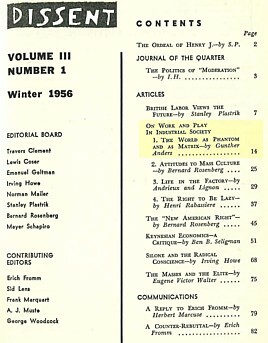 Text+Kritik special issue, July 1992 (see Books About section, below). This is your one-stop source for everything up to 1992. Unfortunately the texts are NOT on line, except for the vita by Jan Strümpel (table form, in German), which I've scanned. Jason Dawsey: "History after Hiroshima: Gï¿½nther Anders and the Twentieth Century". This 30-page essay outlines Anders' life, with emphasis on his publications and their influence. The best English-language biography available. 1936: "Pathologie de la Liberté"
1948: "On the Pseudo-Concreteness of Heidegger's Philosophy"
blurb about Antiquiertheit vol. 1 in a list of book recommendations published in Die Welt, 9 Nov. 2002 (archive copy). preface by Bertrand Russell and introduction by Robert Jungk. also in: Hiroshima ist überall, 1982, pp. 191-360. French: Avoir détruit Hiroshima: Correspondance de Claude Eatherly, le pilote d’Hiroshima, avec Günther Anders 1959, éd. Robert Laffont, 1962. 1964: "Die Toten: Rede über die drei Weltkriege"
title translates as "Speech about the Three World Wars"
in English: Jordan Levinson has translated Wir Eichmannsöhne into English: "We, Sons of Eichmann: An Open Letter to Klaus Eichmann". The translation is from the Spanish (not the German original), so some concepts are not as close to the original as they might be. Still, this is a very serviceable English version. 1980: Die Antiquiertheit des Menschen, vol. II: Über die Zerstörung des Lebens im Zeitalter der dritten industriellen Revolution. Observations about US students in the 1940s, originally titled "Lieben heute"
(Critica diabolis)(Tiamat, 1987), 203 pages. 1987: "Reicht der gewaltlose Protest?" title translates as "Is non-violent protest enough?" 16. Juli 1987 response by Horst Mahler, "Ist Dein Mut zu töten wirklich so gross?" 1988: "Die Augenbinde der Justitia"
subtitle: Fünf philosophische Überlegungen anläßlich des Prozesses gegen Robert Jungk"
1988: "Sicherheit durch die Zerstï¿½rung der Zerstï¿½rungsmittel"
title translation: "Security through the destruction of the means of destruction"
2001: Über Heidegger, edited by Gerhard Oberschlick (Munich, C. H. Beck, 2001), 480p. €35. "Die Texte in diesem Band dokumentieren diese Auseinandersetzung und zeichnen den Weg der langsamen Ablösung von Heidegger, dem "heimlichen König" der deutschen Philosophie (Hannah Arendt), nach. Anders kehrte sich von 1930 an ebenso regelmäßig von der Philosophie ab, wie er sich ihr wieder zuwandte; zeitlebens suchte er die politische Intervention. Seine Arbeiten über Heidegger zeugen von kritischer Angriffslust, von stilistischer Schärfe, aber auch von seinem philosophischen Ernst. Denn Anders’ Einwendungen gegen Heidegger sind mehr als äußerliche Ideologiekritik. Es finden sich bei ihm Einwände, die in den Kern von Heideggers Denken selbst eingreifen." "Stadt der 100 Götter"; entstanden um 1922. Museumsführer durch den Louvre; entstanden Ende der 20er Jahre. "Philosophische Untersuchungen über musikalische Situationen"; geplante Habilitationsschrift aus den Jahren 1930/31. "SS-Mann Kohn"; Roman, Manuskript auf 1946 datiert. "Hesternien"; entstanden 1946-1948, ca. 300 Manuskriptseiten. Vorlesungen "Philosophie der Kunst" und "Philosophische Anthropologie", 1948-49. Band 2 und 3 der "Ketzereien". Band 2 und 3 der "Philosophischen Stenogramme"
Band 3 zur "Antiquiertheit des Menschen". Detlef Clemens, Günther Anders. 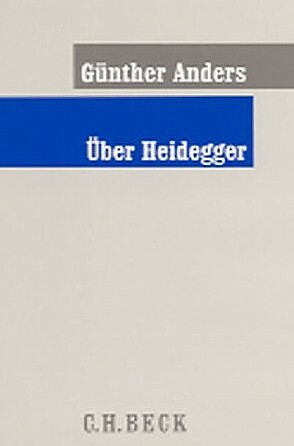 Eine Studie über die Ursprünge seiner Philosophie, Frankfurt, Haag und Herchen, 1996. Handlung Kultur Interpretation: Zeitschrift für Sozial- und Kulturwissenschaften. Jürgen Langenbach, Günther Anders. Eine Monographie (Vienna: Falter, 1986). Konrad Paul Liessmann (ed. ), Günther Anders kontrovers (Munich: Beck, 1992). Konrad Paul Liessmann, Günther Anders zur Einführung (Hannover 1993). Konrad Liessmann, "Moralist und Ketzer: Zu Günther Anders und seiner Philosophie des Monströsen," Text und Kritik 115(July 1992): 3-19. The introductory article in a special journal issue devoted to Anders and his work. Ludger Lütkehaus, Philosophieren nach Hiroshima: Über Günther Anders (Frankfurt/Main: Fischer Tb, 1992). Lütkehaus, born 1943, is a professor of modern German literature at the University of Freiburg. Gustav Mechlenburg, "Kultiviere deine Angst! Zu Günther Anders"
a post-911 reflection at textem.de, which seems to be a publisher that has essays on its website. (Edition Art & Science/G. Anders Forum: 2002), 160 pages, ï¿½ 20,-. The title translates as "Secret Agent of the Hermits of the Masses." This anthology represents the latest scholarship about Anders, intending to make him more accessible to new readers. It includes essays that compare his work to that of Adorno, Herbert Marcuse, and Sartre. Ordering info at: Art & Science page, Anders Forum page, Kritische Theorie.net page. Available online: Christian Fuchs, "Zu einigen Parallelen und Differenzen im Denken von Gï¿½nther Anders und Herbert Marcuse"
Elke Schubert, Günther Anders. 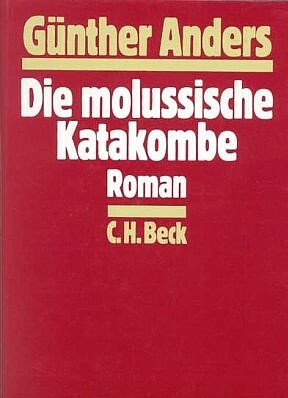 Mit Selbstzeugnissen und Bilddokumenten (Rowohlt 1992), 154pp. excerpt on-line: "Le monde, «Vu à la télé »"
Jan Strümpel, "Vita, Bibliographie," Text und Kritik 115(July 1992), 86-101. This comprehensive bibliography includes secondary works. Berthold Wiesenberger, Enzyklopädie der apokalyptischen Welt: Kulturphilosophie, Gesellschaftstheorie und Zeitdiagnose bei Günther Anders und Theodor W. Adorno (Munich: Herbert Utz, 2003). This dissertation examines the connections between Anders' philosophy and Adorno's thought. Costs 49 Euro. See the publisher's page for more information. Eckhard Wittulski, Kein Ort. Nirgends. Zur Gesellschaftskritik Günther Anders, Frankfurt, Haag und Herchen, 1998. Note: entry - exit = number of viewers coming into this page, but checking out at other pages before leaving the site.